Objective | New brand identity and website to reflect the family friendly nature of this children’s charity. 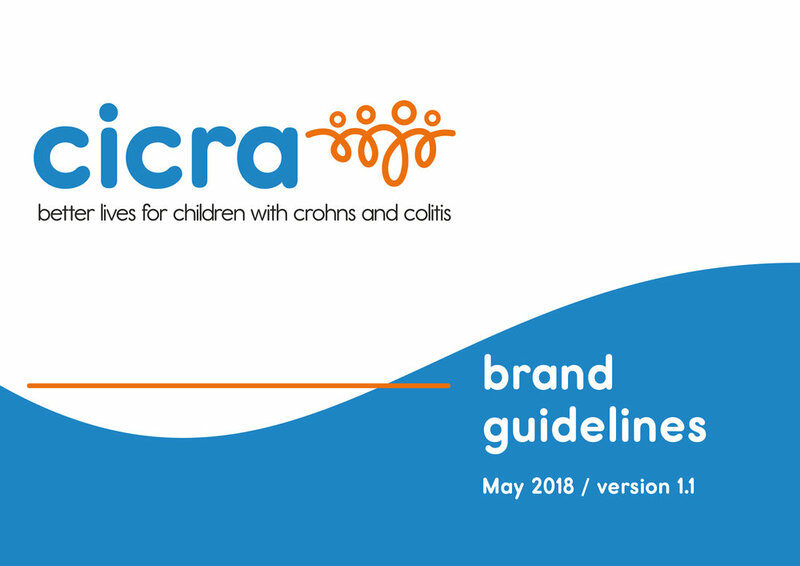 CICRA support children diagnosed with Crohn’s and colitis and their families. They do this by raising money to fund medical research, as well as giving children a voice to help everyone understand the impact these conditions have on childhood. While various iterations of a CICRA logo had been used over the past 40 years since they started, they lacked a cohesive and relevant brand that better reflected who they were today and their aims for the future. We began by helping them to write a set of vision, mission and value statements. Important for any organisation, these outline exactly what CICRA is for - their purpose. What are the aims of CICRA, as well as how CICRA is going to achieve their aims. Everything CICRA does, and the way it does it, is informed by these statements - from the way they greet people on their helpline to the navigation on their website. The previous website was text heavy and difficult to navigate, so we needed to deliver a site that was clean and uncluttered and but also catered for the range of users - from children to research academics. Working closely with the client at all stages of the design and build, we constructed the new site with specialist Umbraco developers Yoyo. Prior to launch, we set to work on updating the key documents, including a quarterly newsletter, education and medical resources, as well as membership on-boarding items.